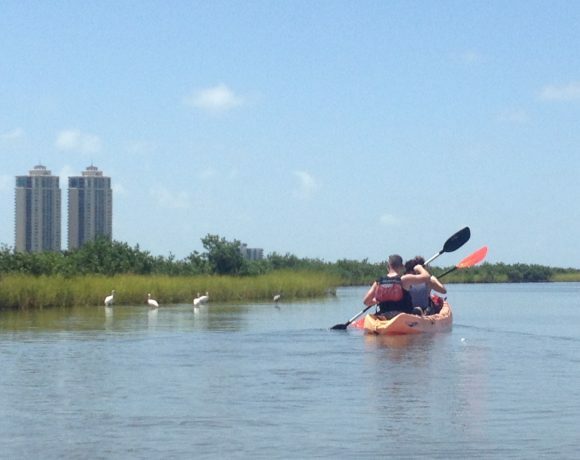 An easy paddle in natural wetlands, the East End Lagoon offers an up-close view of the entry to the second largest port in the United States. Herons will greet you as you witness large vessels in the Houston Ship Channel carrying petrochemical products, cruise ship passengers, and consumer goods. Exploration of the five-mile jetty entering the Gulf of Mexico makes your day complete from beach to bay. This place was returned to the public and will be the City of Galveston’s interpretive home to Galveston Island’s natural history.